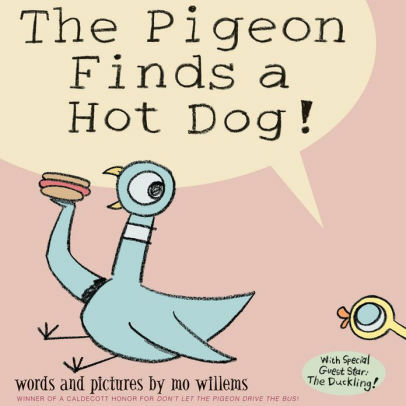 Children's Book Review - The Pigeon Finds a Hot Dog! Are you looking for a great book to read with children over the holidays? We've done the hard work for you! This book comes highly recommended from my 4 year old nephew George, who finds the pigeon character very amusing. The hilarious tone of the book is set up by the illustrations, also cleverly created by Mo Willems. The writing lends itself to an animated response when reading this story aloud. There are scenes where the pigeon is exasperated with the duckling, this page particularly is a lot of fun to read.